The importance of legalizing cannabis explained by someone who claims his life changed for the better after being introduced to the plant for the first time. At 7 years old, Adam Bierman watched his mother roll a joint at Thanksgiving dinner. Today, at 29 years old, he co-owns a medical marijuana dispensary, MedMen, in New Hyde Park. His mother, an activist in the cannabis movement during the 1970s, passed on the meaning of the movement to her son. Bierman is now determined to keep the progress of the legalization movement alive. Bierman first started smoking marijuana at the age of 15. He was introduced to the plant at his annual summer camp retreat, describing that day as the moment his life turned around for the better. While he always knew what cannabis and the movement to cannabis marijuana was through his mother, he had never experimented with the plant before. Bierman describes his mother, Cara Bierman, now 61, as the impetus to his passion for the issue. Back in the 1970s, possession of marijuana could have landed Cara up to thirty years in prison in her home state of California. Cara was arrested twice for her activism: once in 1963 where she was held for four months, and once in 1973 for participating in a legalization march with the activist group Amorphia in Anaheim, California. His mother, a forefront in the movement, was even there when they marched to free John Sinclair: a vocal cannabis activist in 1973. She was beaten over the head with a billy club after the cops broke up the march and was detained for two days with other activists. “Scared? No, not scared … In that moment, I wasn’t me, I was just a person. We weren’t marching for ourselves, because we were the ‘privileged’ ones outside. We were marching for the people on the inside, I personally had friends who had been taken – had their lives destroyed. For what? A plant? Ridiculous, I say … That’s why I marched! Not for me, but for them,” Cara said. Adam is now trying to keep the progress alive as well as turning his passion into a company. He first started actively engaging in the movement during the 1990s when he went to the first ever Global Marijuana March in New York City. Cara, Adam and Andrew Molin, the co-founder of their dispensary, actively marched for the right to medically and recreationally use marijuana. He describes the event as a chaotic day, but one filled with love and acceptance. “It was a crazy day, there were so many people, I think I read there was almost 4,000 people there. I was worried about the police presence for sure, and they did detain some of the more vocal ‘yippies,’ but it was mostly a calm day. It was a day of revolution and change. I think that day really helped cement my passion for this movement,” Bierman said. 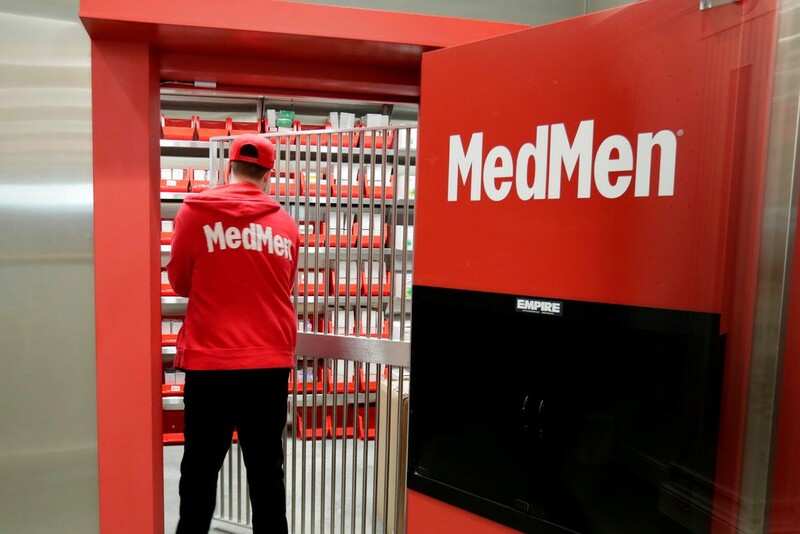 Currently, he and his team at MedMen are continuing the legacy of legalization. They have teamed up with local cannabis activist groups like Empire NORML and HIGH NY on Long Island to start the first coalition of dispensaries for legalization. 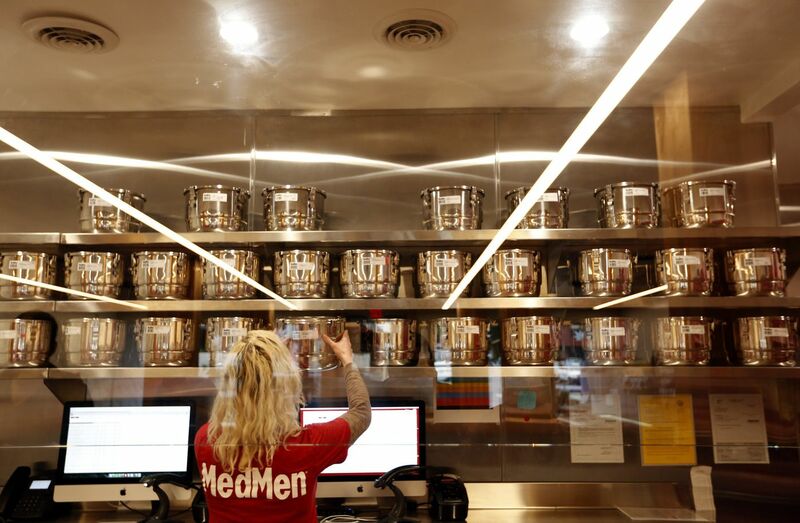 His store also donates a portion of their proceeds to Proposition 64, a coalition of lawyers who focus on representing minority growers, collectives, patients, defendants and workers who face criminal marijuana charges. “Of course, I understand the privilege I have in my position. Many of our fellow users who happen to be minorities are still aggressively oppressed by law enforcement for non-violent drug offenses and possession, while I might slide through the cracks based on…look at me!” Bierman said. Compared to Arizona, where people can receive a fine of up to $150,000 and a minimum of one year in jail, New York laws are comparably lax. On Sept. 1, 2018, the New York Police Department began issuing tickets for people who smoke weed in public instead of arresting them. These tickets are criminal court summonses, which means the receiver must show up in court and issue a plea. Fines can vary depending on the judge. For example, on a first offense, unlawful possession of a small amount of marijuana can mean a fine of up to $100. However, there will not be an arrest, and the court order will be sealed after the case is closed. anti-marijuana agenda is being pushed by the highest office, his whole business could be seized at any moment due to grey areas between the federal and state laws.